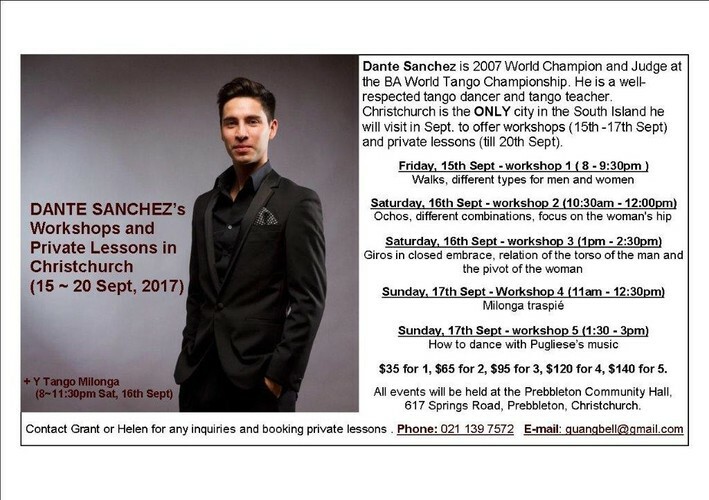 Dante Sanchez is 2007 World Champion, Judge at the BA World Tango Championship. He is a well- respected tango dancer and tango teacher with humble approach to his students. There are 5 interesting workshops during 15-17 Sept in Christchurch Dante will offer us, Tango dancers, to refine our Tango. Contact us for any private lessons inquiries.